The University of Arizona has renewed a formal agreement with Mexico’s National Council of Science and Technology, better known as CONACyT, to encourage exceptional students from Mexico to participate in graduate studies at the UA. The agreement, signed in 2017, focuses on bringing Ph.D. students to Tucson with funding from CONACyT. The fellowship covers expenses for four years, but respective colleges may grant assistantships to students who need an additional year to complete their degrees. CONACyT, a longtime UA partner, is an agency of Mexico’s federal government charged with promoting scientific activities, setting government policies, and granting postgraduate scholarships. Similar to the National Science Foundation in the United States, CONACyT supports research to enhance national prosperity. The UA signed its first formal partnership agreement with CONACyT in 1995, establishing Tucson as a training base for the next generation of Mexican leaders. “It’s people-to-people diplomacy. Regardless of what is going on in the world, this partnership agreement helps to sustain our commitment to this collaboration in the long-run,” said Dr. Dale LaFleur, Senior Director of Institutional Partnerships at the UA Office of Global Initiatives. As of spring 2018, 37 students at the graduate level are studying in Tucson with CONACyT support. That equates to roughly 35 percent of graduate students from Mexico currently at the UA. International Student Services works closely with these CONACyT scholars to ensure their time in Tucson is positive and meaningful. In order to compete for the fellowship, students must apply to CONACyT and meet UA admissions standards. Dr. Nadia Alvarez Mexia, Director of Latin American Initiatives with the Office of Global Initiatives, has close ties with CONACyT, having completed her Ph.D. at the UA with support from the program. “These are some of the top emerging scholars from Mexico – exactly the kinds of students we want pursuing doctoral degrees at the UA,” she said. “It expands our research platform, promotes intercultural competence, and enhances international collaborations between the U.S. and Mexico." Alvarez Mexia also directs Study Arizona: Short-Term Programs, which caters to international students, scholars, and professionals, giving them opportunities to study and research at the UA. Nearly 250 students – most from Mexico – have participated in Study Arizona programs, which emphasize research exploration and graduate school preparation. Nearly 30 of these students came back to the UA for graduate studies, many with CONACyT support. “The UA is a prime location for great students from Mexico, and the CONACyT fellowship is a big reason for that. Our short-term programs also help. They provide a glimpse of the UA’s qualities, attracting students to return here for longer-term graduate programs,” Alvarez Mexia added. One such student is Mexico City native Adrián Arroyo. He was studying for a bachelor’s degree in pharmaceutical science when he first visited the UA to participate in a Study Arizona: Short-Term program. The experience in Tucson ignited in him not only a new appreciation for the world, but also a passion for pedagogy and its ability to inspire and transform. “I was very interested in a scientific career at the time, but I also became interested in higher education because I saw how drastically it changed the lives of people,” he said. Arroyo returned to Mexico City, finished his bachelor’s degree, and then worked in the pharmaceutical industry before reaching a turning point. His brother fell ill and was forced to abandon coursework toward a master’s degree. This instilled in Arroyo a newfound desire to help others through the power of education. He soon applied to the Higher Education Ph.D. program at the UA, and then to the CONACyT fellowship program. He was accepted to both. 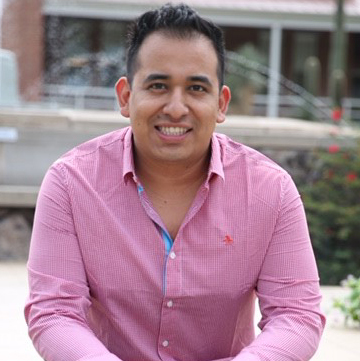 Arroyo recently completed his Ph.D. and is now working at the UA as a Short-Term Programs Coordinator, helping to operate the kinds of programs that shaped his life. The CONACyT fellowship program covers tuition, fees, living expenses, and medical insurance, providing a practical way for scholars from Mexico to attend graduate school in the United States. “Doctoral programs in Mexico are very affordable for students, but CONACyT opens doors for those who benefit from studying or researching in another country, something that otherwise might be impossible” said Alvarez Mexia. 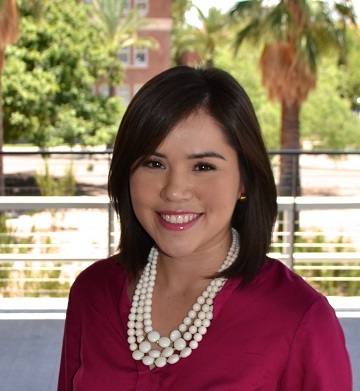 Sinaloa native María José Mojardín López is a CONACyT fellow working toward her Ph.D. in Mexican American Studies through the UA College of Social and Behavioral Sciences. Like Arroyo, she participated in a Study Arizona: Short-Term Program before returning to Tucson for doctoral studies. “My dad was also a CONACyT scholar who got his Ph.D. at the UA. He came to Tucson in 1993 with three children, his wife, and nothing in his pocket so he could learn English,” she recalled. 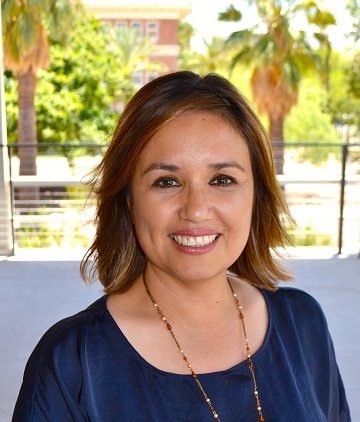 Mojardín López puts her doctoral work into action by volunteering at the Tucson Postpartum Depression Coalition, helping to bring awareness of perinatal mood and anxiety disorders to Spanish speaking women. This reflects not only her personal commitment to the well-being of the Mexican-American community, but also a CONACyT requirement. In order for a student to gain acceptance into the fellowship program, their research must be related to – or make an impact – in Mexico. LaFleur sees the CONACyT agreement as not only a way to benefit individual scholars, but also the UA’s relationship with partner institutions in Mexico. “We are so close to Mexico and we collaborate with scholars and institutions in Mexico on a regular basis. To have this partnership helps us to extend those relationships to the next generation of scholars in Mexico,” she said. Prospective and current CONACyT students may contact Joanne Lagasse-Long at jglong@email.arizona.edu for additional information.